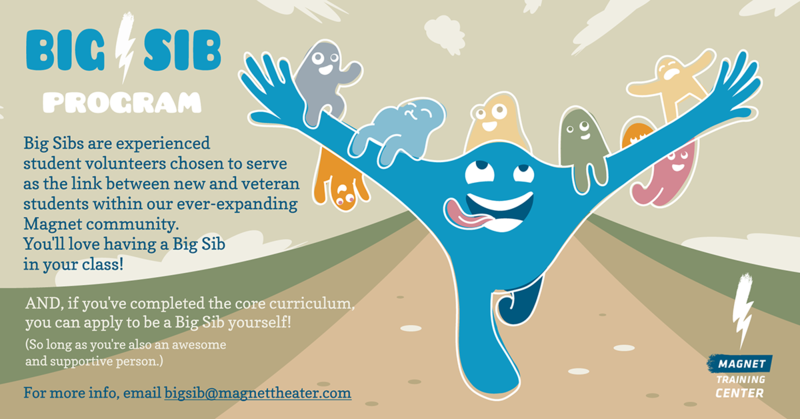 Big Sibs are exceptional students, improvisers, and members of the Magnet Training Center community. 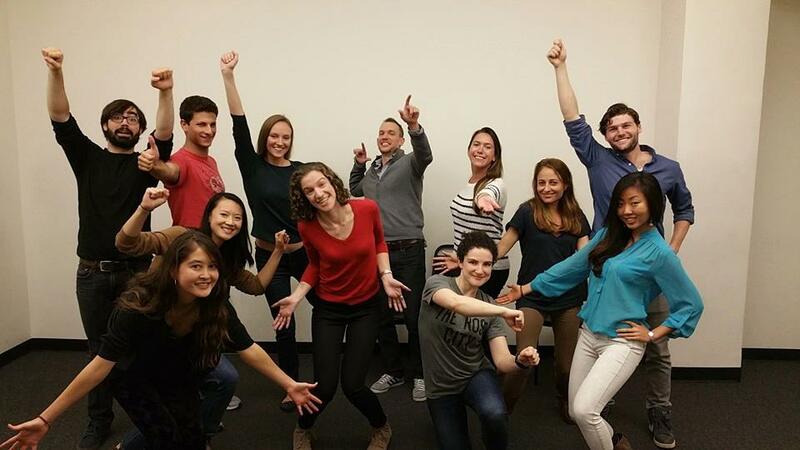 Our Big Sibs (as in, siblings) are chosen to serve as role models for the students in Improv Levels 1, 2, and 3, Musical Improv Levels 1 and 2, and Sketch Writing Levels 1 and 2. While they might be more knowledgeable than the other students, Big Sibs are not Teacher Assistants or Assistant Instructors. Big Sibs are the link between new and veteran students within our ever expanding Magnet community. Big Sib responsibilities include attending class, sending out weekly emails with class notes, planning class outings to Magnet shows and mixers, and being a supportive, awesome person. 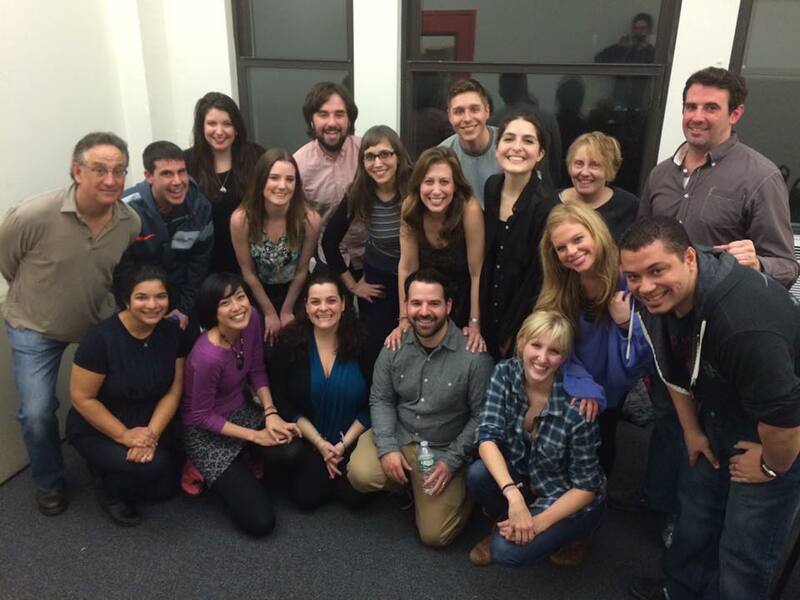 For more information email the Big Sib Coordinator directly at bigsib@magnettheater.com or call 212 244 2400. How do I know if I should be a Big Sib? 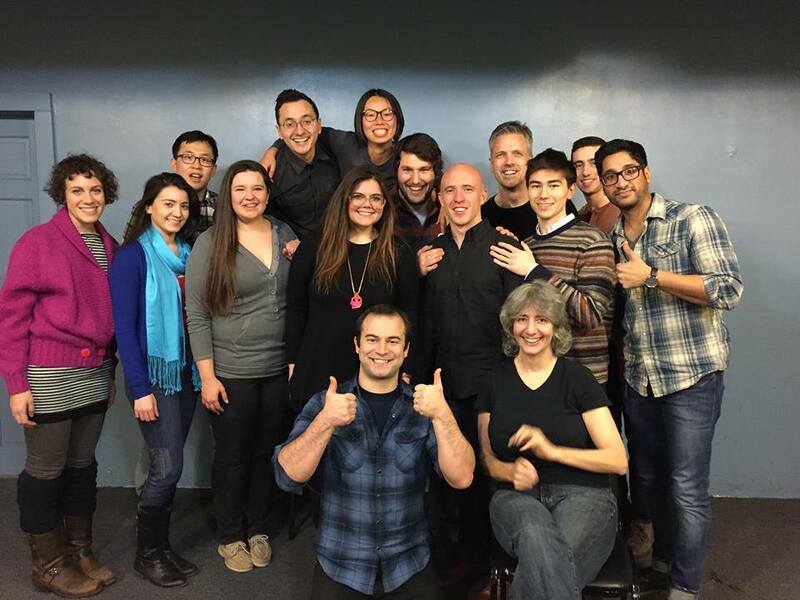 1) Have you completed Magnet Improv Level 4 (to big sib improv classes), Sketch 2 (for sketch classes) or Musical Improv 2 (for Musical Improv classes)? 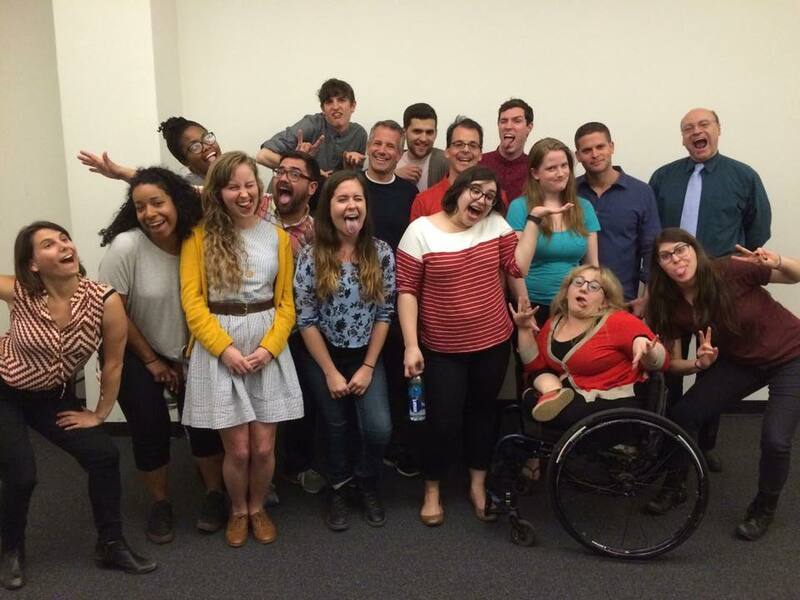 2) Are you a super awesome and supportive person? If you answered Yes! to these questions then WE WANT YOU! 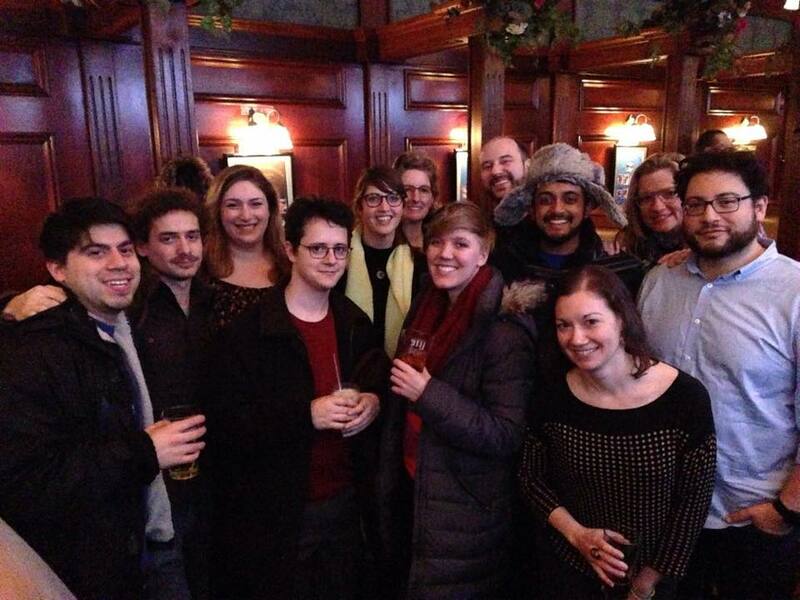 If you have any questions please email: bigsib@magnettheater.com or call 212 244 2400.